Payoneer is a financial services business just like PayPal that provides online money transfer and e-commerce payment services. Payoneer is a registered Member Service Provider of MasterCard worldwide. The company is headquartered in New York City. Now click on the sign up button and then fill out the form with your correct details. Then when you are through with the form given to you, you will receive a successful notification. But if your application has an error you will be given a notification just like the one below. Now you need to activate your MasterCard. This could take up to 2 weeks or more to receive your Payoneer card. With the MasterCard, you will receive a four-digit number. You need to submit that number to verify that you received your card. 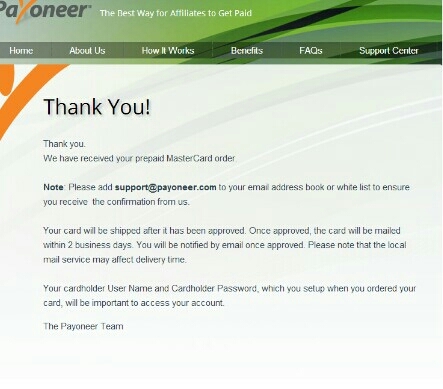 Now login to your Payoneer account and click on “Card Verification”. Then provide your card information such as card number, PIN number (you can enter a manual number which you will use when withdrawing money from ATM machines and in other security cases). You will receive a message to your email account for successful activation. Once your MasterCard and Payoneer application is approved, you can now apply for Payoneer US Payment service. 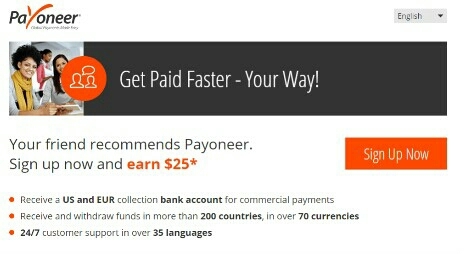 I have not heard of Payoneer. I am starting a new subscription snack food service, http://www.trojansnacks.com. Right now, I am set up on PayPal but hate the redirect from the site, thanks for info.